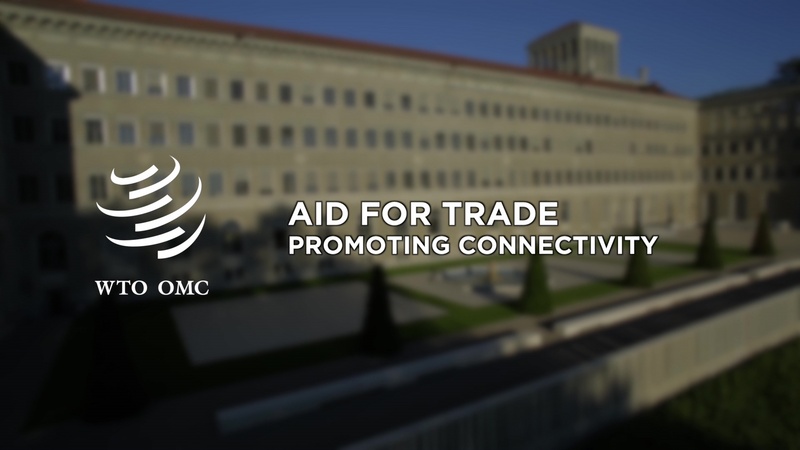 Aid for Trade Global Review 2017 Monitoring Exercise "Promoting Trade, Inclusiveness and Connectivity For Sustainable Development"
Global Review 2017 of Aid for Trade, “Promoting Trade, Inclusiveness and Connectivity For Sustainable Development”, will be held at the WTO in Geneva from 11 to 13 July 2017. Underpinning the Review is a monitoring and evaluation (M&E) exercise. The aim of the M&E exercise is to survey: Aid-for-Trade priorities and how these have changed; the status of Trade Facilitation Agreement implementation and support; engagement in, and support to, the development of e-commerce; and infrastructure investment, the development of related services markets and related investment climate reforms. One cross-cutting theme that will be examined by the M&E exercise is how Aid-for-Trade support is contributing to the achievement of the Sustainable Development Goals, notably the targets on poverty eradication and women's economic empowerment. To collect this information, self-assessment questionnaires and requests for case stories are being circulated widely: to donors (bilateral and multilateral agencies), regional economic communities/transport corridors, South-South partners and developing and least-developed countries. A call for case stories is also being addressed to the private sector, academia and NGOs. Responses to the questionnaires and information provided in the case stories will be analysed and conclusions drawn in a joint publication by the Organisation for Economic Co-operation and Development (OECD) and the World Trade Organization (WTO): “Aid for Trade at a Glance: Promoting Connectivity”, that also will feature contributions from other international organizations. The publication will be launched and discussed at the Sixth Global Review of Aid for Trade. The deadline for submission of completed questionnaires and case stories is 31 October 2016.